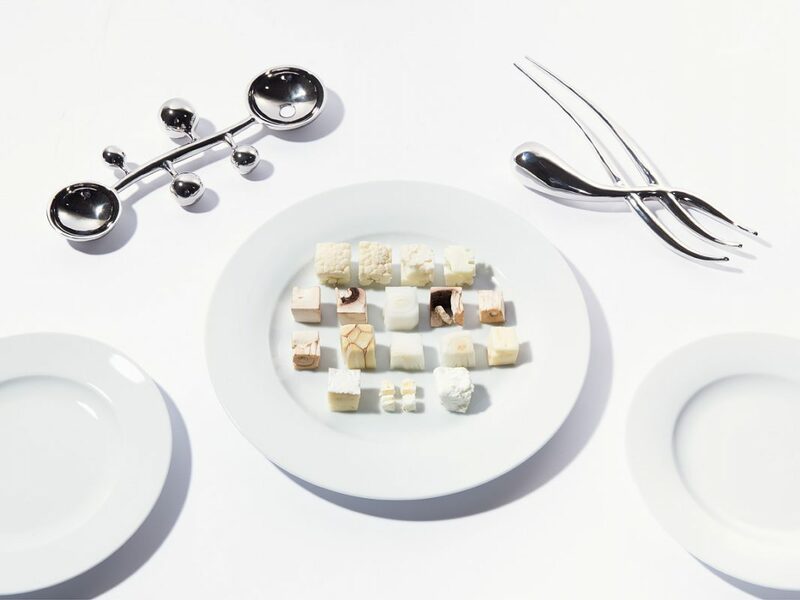 Food and music are universal languages that transcend cultural and linguistic boundaries and stimulate all of our senses. 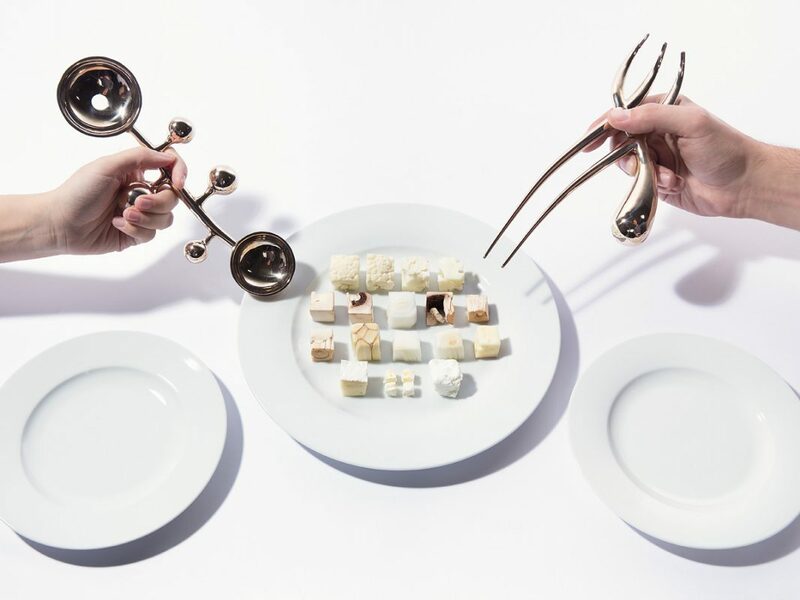 Cast in bronze, Soundable Cutlery is a set of serving utensils that make sound when handled. 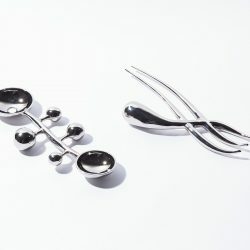 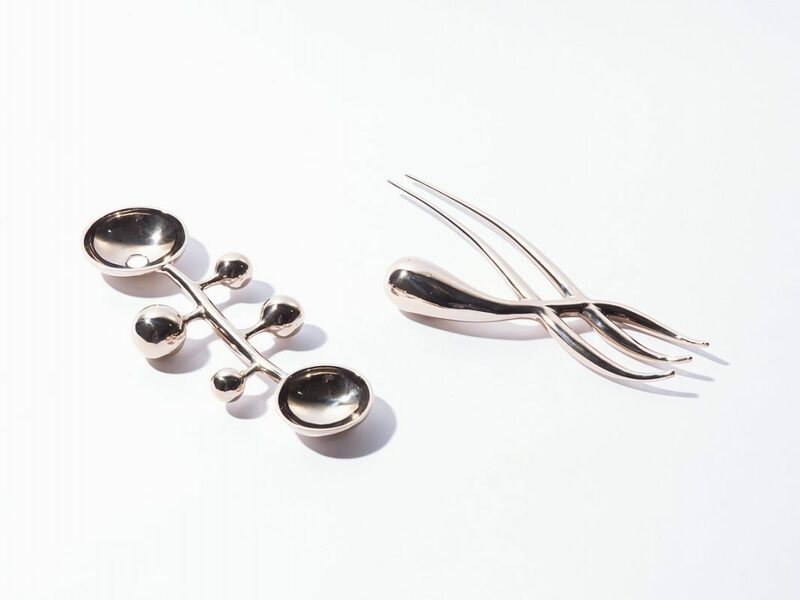 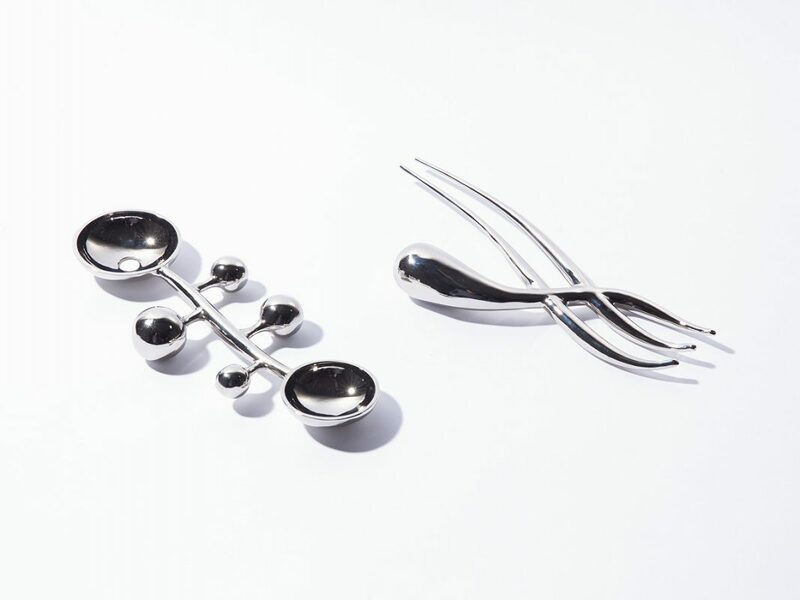 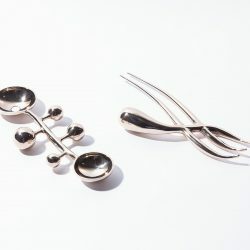 Inspired by two piano songs I learned as a child growing up in Chongqing, China–“Für Elise” by Beethoven and “Souvenirs d'Eenfance” by Richard Clayderman–the organic forms and metrical curves represent the lighthearted rhythm of the music and blend archetypes of both Eastern and Western eating utensils. 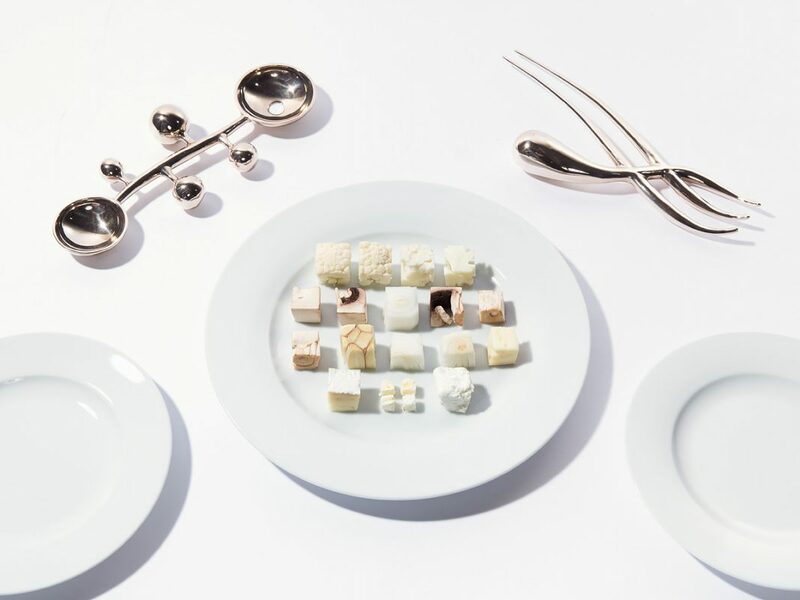 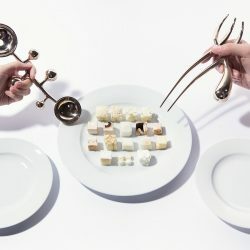 The sound produced from Soundable Cutlery is like adding extra flavor to the meal­–the combination of food and music at the dining table is a way for people to express themselves and build connections. 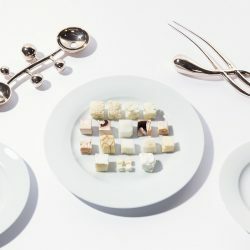 Dingyue Cao is a designer interested in making unique, versatile, and practical objects that bring a daily sense of playfulness and mindfulness to others. 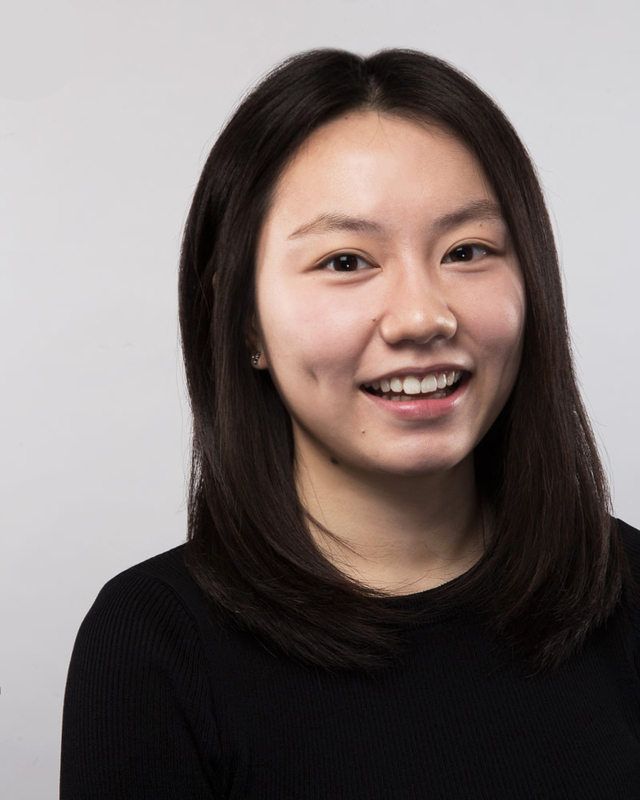 Often based on her own experiences, Dingyue’s works engage multiples senses to encourage users to interact with and question the concepts behind them.